Our work is 'to study and disemminate Theosophy and serve as an active centre of Theosophical life' - with special emphasis on the body of writings and teachings of the modern Theosophical Society. 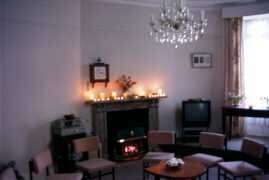 Torbay Lodge runs regular meetings and various study groups. We welcome enquiries from those who are in sympathy with our aims, as above. Article & Discussion on Charles Johnston's account of A MEETING WITH H.P.B. Charles Johnston was an Irish writer, journalist, theosophist and Sanskrit scholar (link to Theosophy-Wiki) and his account concerning a conversation with H.P. Blavatsky contains a great many points of teaching. Article & Discussion on THE BIRTH OF MIND From 'Man, The Measure of All Things', Sri Krishna Prem's highly readable commentary of volume 1 of 'The Secret Doctrine we look at the teachings telling of the origins of the human mind. It is part of our understanding of the development of Humanity's spirituality in our journey, over lifetimes, through the '49 fires'. On the elevation of woman the world’s redemption and salvation hinge.” Looking forward to the developments of humanity should be of interest to us all. Article & Discussion on CULTURE OF CONCENTRATION (W. Q. Judge) - The Astral Body and the Development of the Permanent non-physical body. Talk & Discussion: The Myth of Psyche & Eros and their meaning as to ‘Transformation’ & the Spiritual Path(loosely based on a study group from the Theosophical Society Summer School 2017). Symbolises the journey of the soul, and the transformation of thoughts and feelings in the quest for consciousness. Talk & Discussion: Contemplation - Damodar Mavalanker A wide ranging esoteric article covering, amongst other subjects, the Law of Attraction, the Life Atoms, and their meaning in terms of this and future lives. 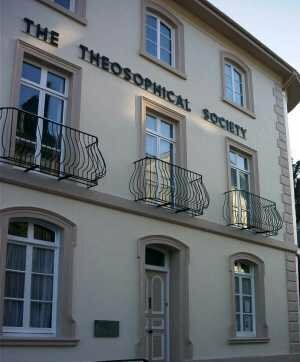 The term "Theosophy" comes from the Greek theosophia, which is composed of two words: theos ("god," "gods," or "divine") and sophia ("wisdom"). Theosophia, therefore, may be translated as the "wisdom of the gods," "wisdom in things divine," or "divine wisdom." The word "theosophy" was first used in writing during the 3rd to the 6th century of our era by the Alexandrian Neo-Platonic philosophers. They used this term to denote an experiential knowledge that came through spiritual, not intellectual, means. In the course of time the word "theosophy" has been adopted to denote various significant teachers or spiritual movements. 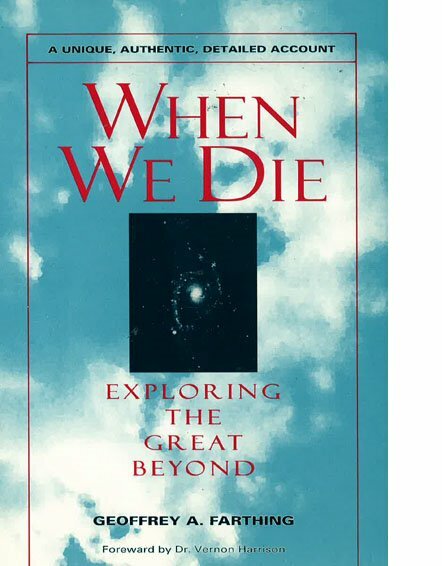 Among such, we can find Meister Eckhart in the 14th century, Jacob Boehme in the 17th century, and Emanuel Swedenborg in the 18th century, and others. In the last quarter of the 19th century Helena Petrovna Blavatsky (1831–1891), Henry Steel Olcott (1832–1907), William Quan Judge(1851–1896), and a group of like-minded people, founded the Theosophical Society, thus bringing the term back into light again and creating the modern Theosophical Movement of which we are a part. Torbay Lodge as a local branch of The Theosophical Society in England has a very specific aim. Our work is 'to study and disemminate Theosophy and serve as an active centre of Theosophical life' - with special emphasis on the body of writings and teachings of the modern Theosophical movement. The building was left in the 1920's to the Society in England with the intention of providing a venue in which like minded individuals may come together in their study of Theosophy. We warmly welcome those who actively sympathise with our aim and can offer membership of the Lodge alongside membership of the International Theosophical Society. Such members have the freedom to work, outside of the Lodge, on themes of particular individual interest and carry on activities which are to their liking, but the activity of the Lodge itself is necessarily exercised within the framework of the Lodge Aim and the Theosophical Society's own distinctive character and structure. "The Theosophical Society – Torbay Lodge” is an official Lodge of the Theosophical Society in England and the International Theosophical Society (Adyar). The Charter of Torbay Lodge was signed by Dr Annie Besant on 31st January 1914. The work of the Torbay Lodge is of serious study and reflection, which is wholly centred around the Ancient Wisdom teachings of Theosophy as given by H.P. 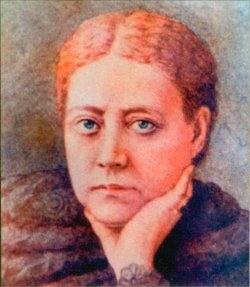 Blavatsky, W.Q. Judge, their living Masters, and others associated with the Theosophical Society. The local group “Torbay Lodge Theosophical Ltd” has no connection with the Theosophical Society in England or the International Theosophical Society (Adyar) and its members do not belong to the Theosophical Society, locally or nationally. “Torbay Lodge Theosophical Ltd” has no connection whatsoever with the Theosophical Society in England or the Torbay Lodge of the Theosophical Society in England. Torbay Lodge has its own building situated near Torquay harbour. We are very lucky at Torbay Lodge to have such a magnificent building. It was left to the English Theosophical Trust, in 1925 as a legacy, for the use of the Torbay Lodge, and we feel a sense of responsibility to the sentiments of that bequest both in terms of care of the building and its use in pursuance of the objects of the Society and fulfilment of the Lodge Aim (see above). Torbay Lodge has a Library with a fine collection of esoteric literature, and various media resources and a study room are available to members. To find us - Go up Torwood Street, away from clock tower at Torquay Harbour. In 200 yards - at traffic lights - turn right onto Parkhill Road. Almost immediately, the traffic flow is then onto Meadfoot Road - where there is a car park, but fork right for Parkhill Road itself and we are 100 yards on left. Please note that apart from small limited stay parking (2 hours) area nearby, parking is restricted to residents only. Meadfoot Road car park is nearest public parking.